06-450-20-GREEN: KX Matrikx Pb1 with Greenblock - 4.25" x 20"
Formulated for cyst and heavy metal reduction. In a joint development with KX Technologies sister company Filtrex Technologies, the Matrikx range incorporates GreenBlock technology, which employs coconut shell carbon to offer enhanced performance and ecological sustainability. All cartridges are manufactured in ISO 9001- and 14001-accredited facilities, certified to NSF/ANSI Standard 42 for material safety, California Proposition 65 compliant and performance validated by independent laboratories. Formulated for cyst and heavy metal reduction. 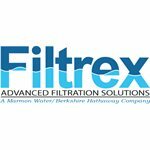 In a joint development with KX Technologies sister company Filtrex Technologies, the Matrikx range incorporates GreenBlock technology, which employs coconut shell carbon to offer enhanced performance and ecological sustainability. All cartridges are manufactured in ISO 9001- and 14001-accredited facilities, certified to NSF/ANSI Standard 42 for material safety, California Proposition 65 compliant and performance validated by independent laboratories. The filter cartridge is tested and certified by NSF International against NSF/ANSI Standard 42 for material safety requirements only. This filter cartridge is certified by the Water Quality Association to WQA/ASPE/ANSI S-803 for sustainability.